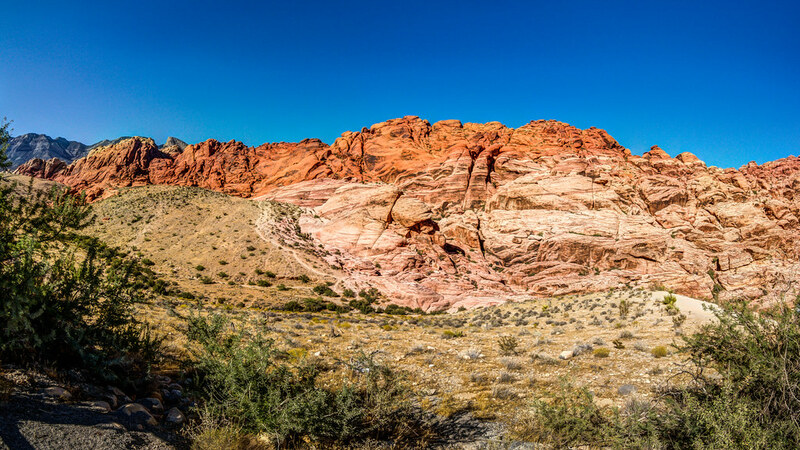 Red Rock Canyon National Conservation Area is just west of Las Vegas. Many visitors just drive the satisfying 13-mile scenic loop that offers colorful vistas of red and white rock formations. Local visitors can choose from many challenging hikes into the canyons and up the peaks. We chose to enjoy a couple of shorter hikes into the Calico Hills and toward the white-topped Calico Tanks.